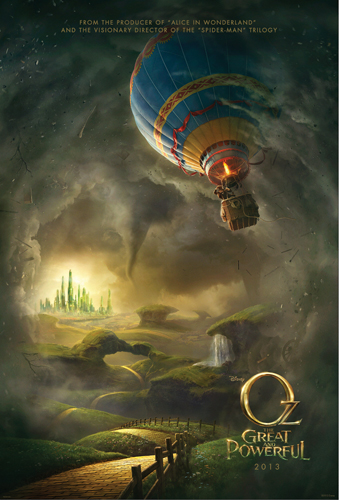 Oz The Great and Powerful Trailer Debut! This is one movie I think would be great to see- and a good one for them to try and remake- it looks good ! I’m so disappointed. I don’t have the flash player to watch the clip of this movie. I’m going to have to try to download it later. To be able to check this out. This for bring the clip to your fans. I’d love to see this, looks great! This is the first I’ve heard of this — and it’ll be great to see Zach Braff again. I didn’t even know they were making this. I am excited to watch this as I always wondered about his side of the story and how he ended up in Oz.